This book is an unofficial celebration of the world’s favourite plumber! We Love Mario! is a comprehensive look at Nintendo’s iconic character Mario and the wonderful world that Mario inhabits. Mario fans will love this fun, fact-filled guide to gaming’s greatest hero. 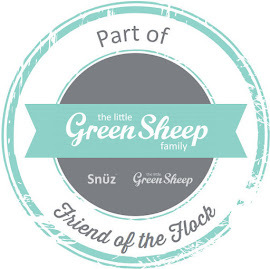 The colourful book features fantastic facts, game reviews and character profiles. The book features games across Mario’s reign from retro to new. It details 21 iconic Mario games including Super Mario Bros, Mario Kart, Super Mario Galaxy and Super Mario Odyssey. The book highlights game trivia, rates each game and reveals hidden secrets. Plus learn sneaky tricks and hidden hints on how to beat the unbeatable and find game easter eggs. Readers can learn more about Mario’s world and discover which Mario character they are thanks to Toadette’s personality quiz. Plus thanks to detailed character guides learn all about iconic Mario characters, both friends and foes such as Luigi, Bowser and Yoshi. The 80 page paperback (RRP £6.99) by Carlton Books is an eye-catching and an entertaining read for Mario fans young and old. As well as featuring Mario facts it is filled with recognisable Mario images. Brighten up the room with this wacka-wacka-wacky Pac Man Ghost Light. This awesome official Pac-Man (Namco) licensed Pac Man Ghost Light from Find Me A Gift is a lovely tribute to the iconic Ghosts from the beloved retro game of Pac Man. The ghost shaped light is colour-changing with the ability to shine 16 different colours. It can be set to phase through all 16 colours or it can be set to party mode so that it flashes and changes colour to the beat of your music. The colours are vibrant and give off a good glow of light if using as a night light or mood light. The party mode is lots of fun and seeing the colours of famous Pac Man ghosts Blinky, Pinky, Inky and Clyde flash to your music makes this light even more special. The USB powered (USB cable included) light measures approximately 20cm x 20cm x 7cm. It has an RRP of £27.99 but is currently on sale on Find Me A Gift for £17.99. The Pac Man Ghost light is sure to brighten up your loved one’s day if they find it under the Christmas tree this year. From young to old, this fun light is perfect for gamers who are fans of the renowned Pac Man game. The Cable Guys from Exquisite Gaming are 100% officially licensed functional figures that are designed to hold your device when charging. The figures are 8” tall and are iconic characters from games and films such as Spiderman and Groot. Other figures include Spyro, Sonic, Call of Duty characters and Deadpool. There are also XL Cable Guys of Crash Bandicoot and Hulk that are 12” tall. The standard Cable Guys are compatible with Playstation and Xbox controllers and most smartphones. They come with a 2 metre usb cable for charging your device. The figures are very impressive. They are made from quality hard resin and feel durable. The figures sit on a stable round base and thanks to the careful design of the figures are created so that they stand strong and secure with no worry of toppling over. The angle of the hands is perfect designed for safely holding a range of devices when charging or just for show. Both controllers and phones feel secure when placed on the Cable Guys. The quality of both officially licensed Marvel figures is superb. The detail is, as the company’s name suggests, exquisite. Both are true to their character and look magnificent. They are painted to a very high standard and I am impressed with how great they look. I especially love the Groot Cable Guy who has been designed on teenager Groot from Infinity War - look at that adorable face! These unique, functional collectables not only look fantastic holding a controller or mobile but also look marvellous on their own. 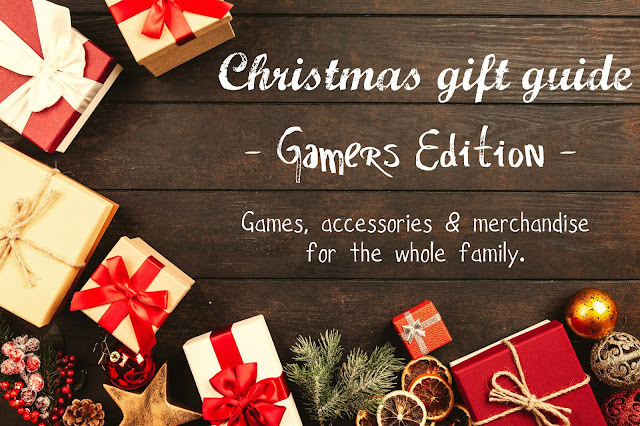 The Cables Guys are the perfect addition to any gamers gaming area, lounge or bedroom and would be a perfect gaming accessory gift this Christmas. If you love the look of these Cable Guys or want to see the other officially licensed Cable Guys characters check out www.exgpro.com Exquisite Gaming’s standard Cable Guys have a RRP of £19.99 and are available at Amazon - Spiderman Cable Guy and Groot Cable Guy. Perfect for fans of the extremely popular multiplayer online game creation platform Roblox, the Roblox Master Gamer’s Guide from Carlton Books is a definitive guide to the world of Roblox. As Roblox is a platform that allows users to design their own games and play a wide variety of different types of games created by other users through Roblox Studio the guide is a wealth of information about making, playing and beating the best Roblox games. This ultimate Roblox book by Carlton Books contains information on the hottest Roblox games such as Meepcity, Natural Disaster Survival and Jailbreak. Plus there is an easy to follow guide on how to create your own games in Roblox. The guide also features newbies’ quick guide, information on avatars, badges and Robux along with top tips such as how to top the leaderboards, brain busters quiz and a page to note down Roblox records! Importantly the guide also features crucial information on how to stay safe when having fun playing online. The independent and unofficial 64 page paperback guide has an RRP of £8.99. Not only is it informative but it is also colourful and easy to understand with recognisable Roblox illustrations. Perfect for Minecraft fans this book is a step-by-step guide by Carlton Books to creating incredible builds. As well as step-by-step building advice it also features secrets and strategies to help you become a master Minecraft builder. Minecraft Master Builder: Time Travel lets you journey through history and create your own amazing Minecraft masterpieces inspired by magnificent buildings and inventions from ancient times and through to the future with this incredible step-by-step guide! It showcases guides to creating 15 amazing builds from a medieval throne and ancient pyramid to a eco-house and a futuristic space station. There are easy, intermediate and master builds to try plus tricks and tips to help improve construction skills. Plus it is full of interesting Minecraft facts, figures and trivia. This fun and interactive guide will inspire readers to build the impossible and use their imagination. The 72 page paperback (RRP £8.99) step-by-step instructions are easy to understand and the complementary photographs of the Minecraft creations mid-to-finished builds helps bring the world of master builds in Minecraft alive for fans to recreate. The battle for the Crayola Cup is on in this colourful, action packed Crayola Scoot game from Outright Games. Create your own Crayola Scoot character and start your journey to becoming scooter legend. 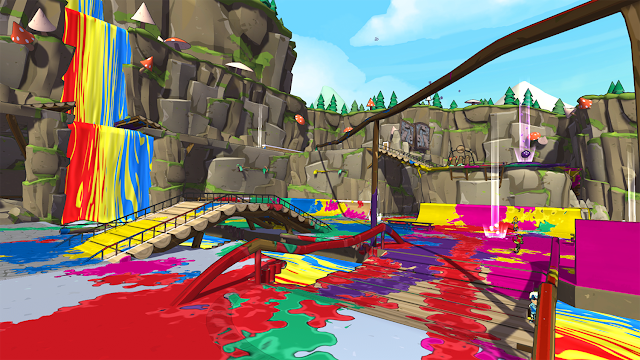 Challenge the outrageous Scoot Legends for the Crayola Color Cup on 12 parks across 3 worlds. To be champion you’ll need to beat the Scoot Legends in a rainbow of exciting team and solo events like Crazy Crayon, Splatter Tag, Trick Run and a new twist on the classic game of S.C.O.O.T. 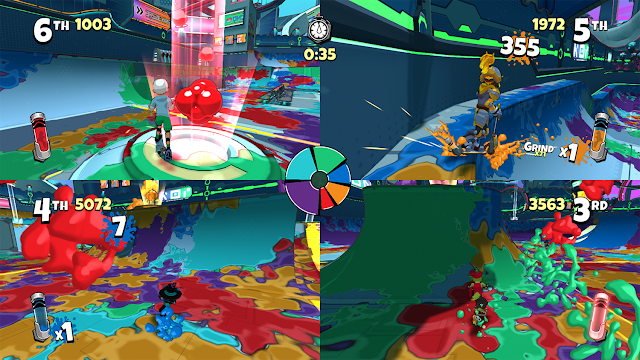 Or you can get your game on with friends and enjoy 4-player split screen colour clash fun where you can splat mates. Upgrade your scooter and your rider’s style as you rise to fame. 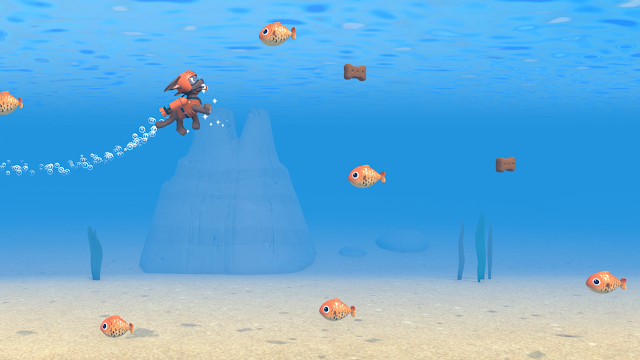 Perform insane tricks and jumps to splash your colour and activate traps, boosts and shortcuts. Bigger stunts mean more colour – and in Crayola Scoot, colour can change the world in impossible ways. Have fun and make your mark on the scootpark. The game delivers on fun gameplay and an awesome soundtrack. 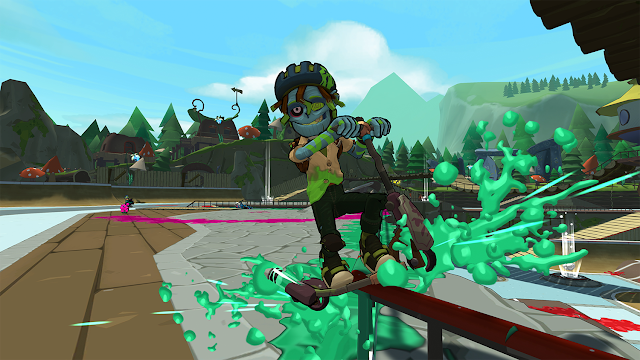 It is a blend of extreme sports gameplay reminiscent of Tony Hawks style games with Splatoon-esque, colour-tastic challenges. 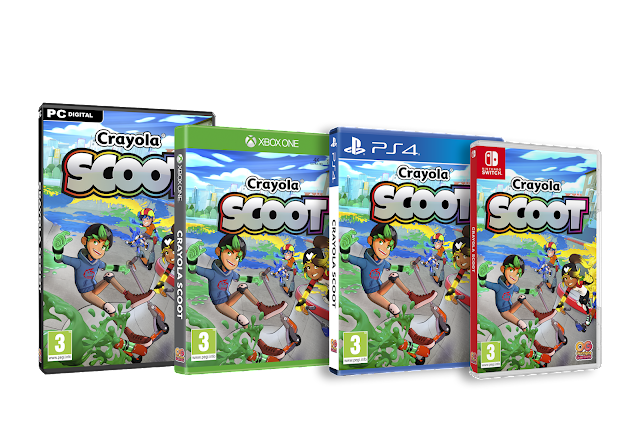 Crayola Scoot is available on Nintendo Switch, Xbox One, PS4 and PC. It has an RRP of £34.99 and is currently at time of writing on sale at Smyths for £24.99. It is also available at other retailers such as Game and Amazon. This Minecraft book by Carlton Books is part of their range of STEM project books which inspire and educate readers about the wonderful world of Science, Technology, Engineering and Maths. The independent and unofficial Minecraft Stem Challenge: Build a Theme Park book (£8.99) is a 64 page step-by-step guide to creating a theme park in Minecraft plus it is packed with amazing STEM facts to inspire! The book’s step-by-step instructions are simple to follow and feature helpful images of the builds from beginning to end to help gamers construct wonderful theme park rides. Amazing theme park rides and attractions such as a roller coaster, water flume, ferris wheel, haunted house, bouncy castle and animal park are covered in the book. As well as showcasing how to build the rides and attractions to create a Minecraft theme park the book also introduces readers to STEM topics in the real world and the Minecraft world. Using core STEM principles, this book will take you through the process of designing and constructing your own Minecraft theme park - from calculating area when building your rides and understanding the different properties of the materials available to you, to learning how gravity and friction affect the speed of your roller coaster. At the end of the book you will have created one amazing theme park, complete with multiple attractions, ticket booths and lighting. The book is not only useful in helping gamers create a magnificent theme park in Minecraft but it also benefits from being extremely educational too. It is a quality book with easy to understand step-by-step instructions, images from Minecraft plus useful images of the builds from beginning to end, fun text and layout, succinct facts and best of all a fun read for a Minecraft fan. The PAW Patrol crew is on a roll! No job is too big, no pup is too small! The PAW Patrol is ready to save the day in Adventure Bay on 16 daring rescue missions, but they can only do it with your help! 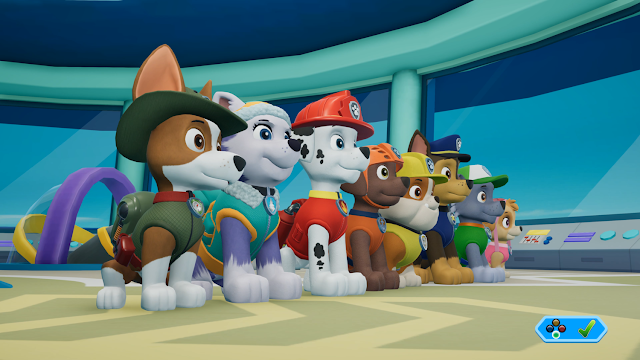 Created by Outright Games the family friendly, licensed game features Ryder and all eight PAW Patrol pups from the hit Nickelodeon TV show PAW Patrol. Help Marshall, Chase, Skye, Rubble Everest, Tracker and the whole team use their unique skills to rescue friends and keep their community safe. 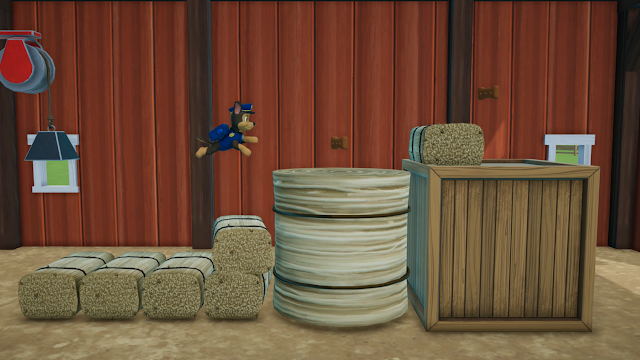 With the Lookout as your base, jump into eight awesome Adventure Bay locations, including Farmer Yumi’s Farm, Jake’s Mountain, a desert canyon, under the waves, and more! Play as two different pups on each mission and as you help your friends, such as Ryder, Jake, Farmer Yumi and more. Get ready for fun puzzle-platforming action that is PAWfect for kids of all ages with all the pups of the PAW Patrol! This PAWsome game would be an ideal Christmas gift. 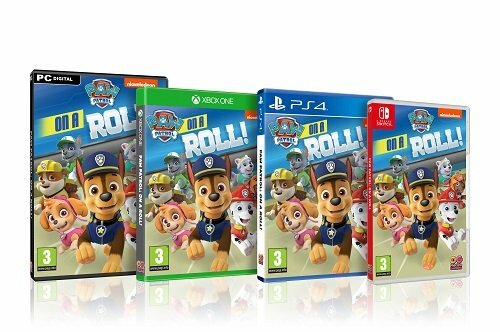 Designed for younger gamers this game is perfect for PAW Patrol fans. The graphics are superb with the characters looking just like they do in the show. Thanks to puzzles and displaying teamwork the game is not only fun but it is also educational and positive too. 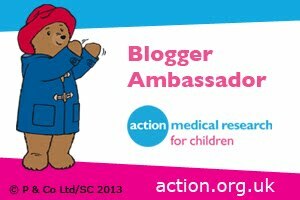 Plus the game introduces younger children to platform gaming in a non-frustrating way with Ryder popping up on the Pup Pad to help out and animations showing the children what buttons to press on the controller - happy, stress free and fun gaming! PAW Patrol On A Roll! is available on Nintendo Switch, Xbox One, PS4 and PC. It has an RRP of £29.99 and is available at Game and Smyths. It is also available digitally on the Nintendo, Playstation, Steam and Xbox. 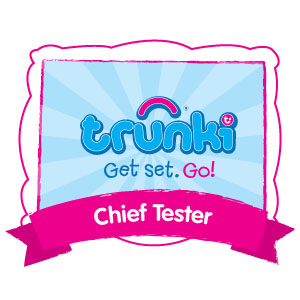 Outright Games who are a family business passionate about creating fun, high-quality video games for family entertainment with favourite characters from renowned brands using quality licences have created a number of other fun games perfect for the whole family. The games available across all gaming platforms include Ben 10, Hotel Transylvania 3: Monsters Overboard and Adventure Time: Pirates of the Enchiridion. From Carlton Books’ STEM project range of books the Minecraft STEM Challenge: Build a City book (£8.99) is a 64 page step-by-step guide to creating your own city in Minecraft. It also features amazing STEM facts to inspire and educate. Build a bustling Minecraft metropolis - and get to grips with STEM concepts (science, technology, engineering and maths) as you play! Using core STEM principles, this book will take you step-by-step through the process of designing and constructing your own mega Minecraft city - from calculating area when building your foundations and understanding the different properties of the materials available to you, to learning about lighting and the use of symmetry in architecture. Read about science topics in the real world, then put your learning to use within the game, discovering the differences between real life and the Minecraft world. At the end of the book the reader will have created one amazing city, with skyscrapers, shops, underground railway a sports stadium, roads and houses. Not only does the book feature straightforward instructions but it also has useful images that show recognisable elements from Minecraft plus images of builds from beginning to end. The instructions and STEM facts are written succinctly and are easy to understand. We love that not only is the book fun for Minecraft fans but it is also educational too - it encourages reading, learning, gaming and having a great time! From renowned gaming accessories brand Gioteck, the TX-40 was created after a year of design, detail, research and development. Part of the high quality TX range it was specifically created to meet the demands of new generation of consoles and gamers. The TX-40 is a slick, sleek and high performing headset with a robust design encompassing real steel and featuring copper plated extenders. It also features a light, flexible and comfortable headband with ultra soft alacantra® cushioning for enjoyable, comfortable gaming. Even though the headset is lightweight it is solid and showcases uncompromising build quality. The copper and matt black finish is beautiful and stylish. The headset is the perfect companion for the Nintendo Switch, Xbox One and PS4. It also works with mobiles and more thanks to its multi-format 3.5mm jack. As well as being ideal for gamers it is also wonderful for music lovers too allowing them to immerse themselves in their favourite sounds thanks to the fact that it delivers stunning, crystal clear sound. It has minimum feedback which provides clear, lucid chat. It also features 40mm high impact drivers offering powerful audio and great sound quality. The headset also has a discreet inline mic, mute and volume button for instant fingertip control. The TX-40 has a RPP of £34.99 but is at the time of publishing this post it is on sale at Game for £14.99. 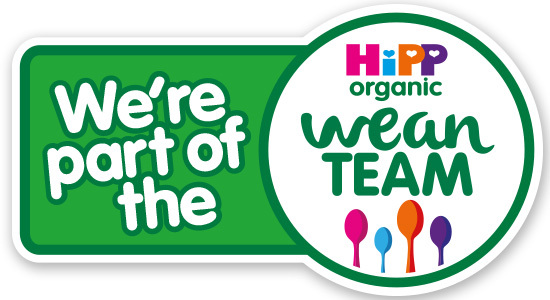 It is also available from a range of other retailers including Argos and Amazon. The Tx-40 is an amazing, affordable tech gift for gamers and music lovers this Christmas. Just plug in to your favourite device, then game and go! 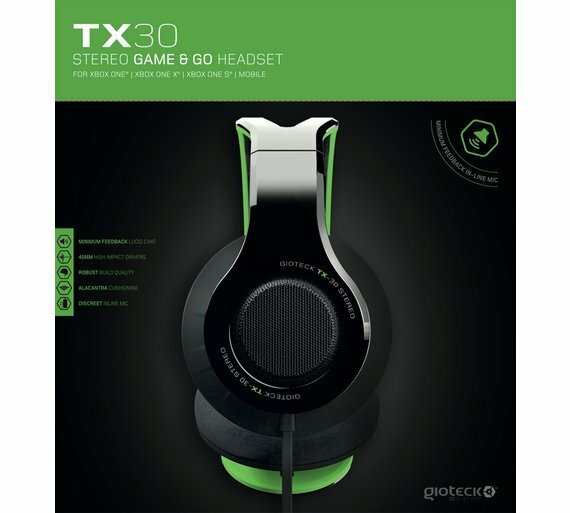 Another headset from the Gioteck TX range is the TX-30. Designed to a high quality for great gaming it is also perfect for music lovers. The new TX-30 offers robust design, encompassing real steel and Polypropylene producing a light, flexible and comfortable headband that is cushioned with alcantara®. It offers clear, high quality digital game sound and minimum feedback technology to provide lucid chat audio without interference or echo. It features a discreetly located inline mic with volume and instant mute control. It works with the Nintendo Switch, Xbox One, PS4 and most other devices that are compatible with a 3.5mm jack. 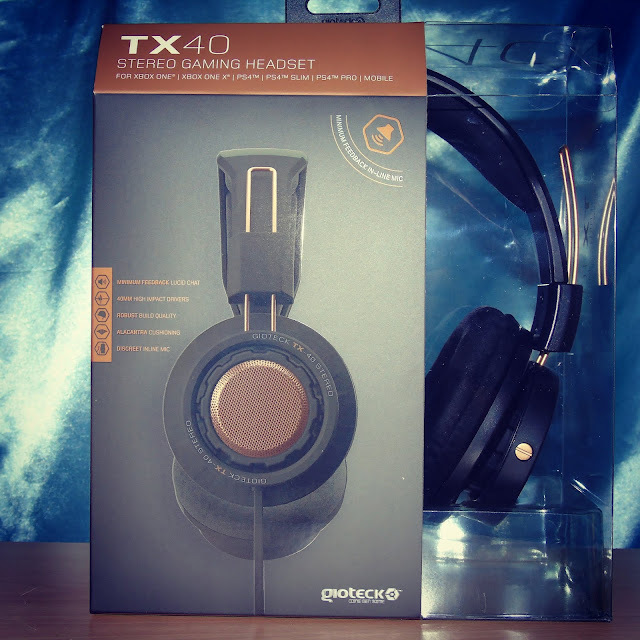 The TX-30 is a fantastic, affordable gift this Christmas for gamers and music lovers alike. It is available from Argos for £14.99 and comes in a range of vibrant and funky colours - pink, blue and green. The Big Box from Exquisite Gaming is a merchandise crate filled with officially licensed merchandise inspired by favourite video games. Each Big Box has a specially designed crate in the theme of the video game and features exclusive merchandise such as wallets, hats and keyrings. Contents of the boxes vary depending on the game. Perfect for gamers the Big Box crates are ideal gifts. The Crash Bandicoot Big Box from Exquisite Gaming is a limited edition Crash Bandicoot themed crate in the same style as the iconic crates featured in the beloved game. The box itself is superb quality being robust and ideal for both display and storage. The box design is impeccable with fantastic illustration of both the crate, logo and Crash’s image. The box contains 6 items. A Crash Bandicoot logo wallet. A snapback cap with Aku Aku image and Crash Bandicoot logo (adult size). A tumbler glass featuring Crash Bandicoot logo. A keyring of Aku Aku. A double sided lanyard with Aku Aku and wumpa fruit print. And a black satchel style bag with Crash Bandicoot logo. All of the merchandise are fantastic quality and perfect for fans of Crash Bandicoot. 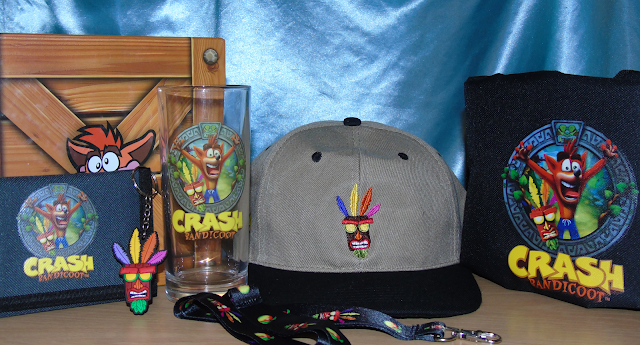 We especially love the Crash Bandicoot logo tumbler glass and the colourful Aku Aku keyring. The Crash Bandicoot crate and wonderful merchandise is not only a tribute to the wonderful world of Crash Bandicoot but it also sparks fond memories of playing the game. With it’s amazing Crash Bandicoot crate filled with wonderful merch, the Crash Bandicoot Big Box would be a fantastic gift for gamers this Christmas. The Spyro Big Box is a limited edition gear crate filled with Spyro inspired merchandise. Designed as a celebration of Spyro, the box has been created in a bejewelled treasure chest style that is synonymous of the treasure chests found in the wonderful world of Spyro. The box is amazing quality and very strong making it perfect for both display and storage. As the box is of such superb quality and in Spyro treasure chest style it would look wonderful on display with other Spyro merchandise. The box contains 5 items. A snapback cap (adult size) embroidered with ‘Born To Glide’ across the back, retro Spyro 1998 logo printed on the side, purple peak with Spyro sticker and Spyro gem printed on the front. A scale effect wallet with ‘Born To Glide’ retro logo and hidden gem inside. A 12oz mug with Spyro logo and hidden image on back that is revealed thanks to heat change technology to display a retro Spyro 1998 ‘Sick Burn’ logo. A double sided fire logo lanyard. And lastly but by no means least a metal and enamel Spyro pin badge. As a huge Spyro fan I love this limited edition box. It is a true celebration of the amazingness of Spyro and evokes many, many fond memories of playing Spyro games. I love the cap from the colour to the logos and the heat change mug is pure Spyrotastic magic. The merchandise is fantastic and the quality is immense. It is a lovely array of all things Spyro - his awesome image, gems, fire, logos and retro love. This box would be loved by Spyro fans and would be a delightful gift for them this Christmas. My friends son is really into Minecraft, he would love that book. My son has a Gioteck headset. they are great! I love the Cable Guy controller holders! I feel like I need both of them for me and my partner they are so cool! My kids would love the Crash Bandicoot box. We have just introduced them to the Crash Bandicoot game and they love it! 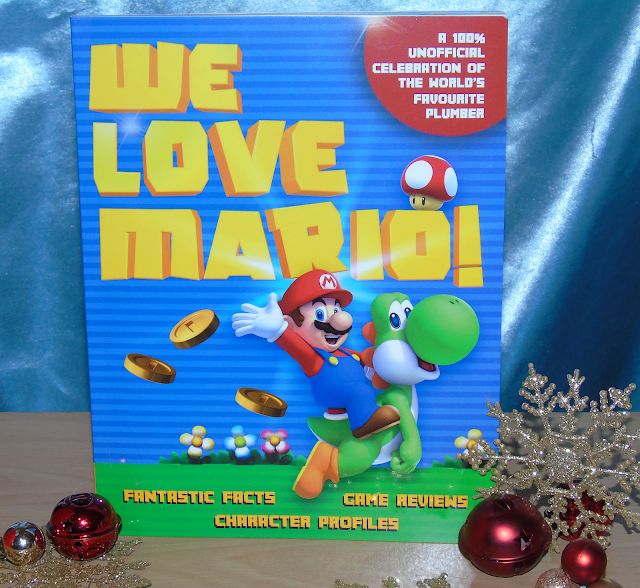 We love Super Mario so the trivia book would be great for a christmas present for us! My son loves Paw Patrol so I should definitely get that for him. This is a great list!